This article is provided courtesy of Robert Half Management Resources, the premier provider of senior-level accounting, finance and business systems professionals to supplement companies' project and interim staffing needs. The company has more than 140 locations worldwide and offers online job search services at www.roberthalfmr.com. Follow our blog at www.roberthalf.com/blog. Running a healthcare operation was complex even before recent activity shook the industry into a near-constant state of flux. Whether considering the shifting relationship between payers and providers, increased cyber-security threats, outcomes-based models, or any of the seemingly countless concerns, the need for organizations to stay one step ahead of change has never been so great. At AAFCPAs, we take that goal to heart. Our work in the healthcare space requires us to be vigilant about risks faced by Community Health Centers, behavioral health providers, in-home and senior care facilities, and private medical practices. We frequently delve into subject matter that helps our clients direct their operations, remain compliant, and manage profitability. Our guidance is founded on four decades of experience providing healthcare clients with incisive financial knowledge and strategic management advice. As the industry evolves, we embrace the opportunity to continue to collaborate with our clients to help drive financial and operational improvements to make you thrive! AAFCPAs’ Nicole Zompa, CPA, Jeffrey Mead, CPA, CGMA and Tracy LeMaire, CPA, MBA provide finance executives with an understanding of how the new standard could impact revenue recognition and company policies, and what they should be doing now to prepare for adoption. AAFCPAs provides live and OnDemand webinars for busy executives so you may benefit from our knowledge & insights whenever and wherever you may need it. Our library of Webinars OnDemand and AAFCPAs Blog are available 24/7 on aafcpa.com. Are you ready to meet the FASB’s Deadline for Revenue Recognition? WEBINAR: Are you ready to meet the FASB’s Deadline for Revenue Recognition? The deadline is fast approaching in January 2019 for private companies to begin using the new revenue recognition standard. CFOs should be well on their way now to implementing the new standard, including taking action on: understanding accounting and disclosure requirements, gathering contracts for review against the new rules, determining potential system modifications for any new information that may be needed, and communicating as appropriate the impact of adoption to external users of your financial statements. There is still time to register for AAFCPAs’ live, 1-hour revenue recognition implementation webinar, scheduled for Tuesday, June 12th, 12-1pm. Accountemps, a Robert Half company, is the world’s first and largest specialized staffing firm for temporary accounting, finance and bookkeeping professionals. Accountemps has 300 locations worldwide. More resources, including job search services and career advice, can be found at roberthalf.com/accountemps. Effective workforce collaboration is a priority for any business that wants to build more cohesive and productive teams and drive innovation. But two areas where collaboration really matters, but at times languishes, are at the senior management level and in the finance function. In the not so distant past, CFOs and their teams weren’t typically asked to provide input on helping the business set goals and shape strategy — at least, not directly. That’s changing fast, as companies embark on transformative programs like digitalization and automation that require a lot of cross-departmental collaboration, cooperation and coordination. As an example, collaboration between the CFO and chief information officer (CIO), especially in the early phases of IT project planning, can lead to better alignment between finance and IT agendas and understanding of risks. Technology initiatives, from cloud migrations to business systems upgrades, can impact every business unit within companies today. CIO and CFO collaboration can pave the way for smoother integration of new systems and processes and help ensure the business realizes value from those investments and achieves transformation goals. CFO and CIO collaboration appears to be blossoming in many firms, too: In a recent survey by our company, 41 percent of CFOs said they collaborate very well with the CIO. However, nearly half (46 percent) of CFOs say they collaborate even better with another C-suite colleague: the CEO. It can also undermine a CFO’s chance to take the reins of leadership at the firm when the opportunity arises. In more businesses today, finance executives are tapped to become the CEO. It’s a job many aspire to: More than 60 percent of CFOs in a Robert Half Management Resources survey said they are motivated to reach this level at some point in their career. Getting there will depend, in part, on their relationship with other senior executives — and not just the CEO. A CEO needs to be well-versed in all aspects of an organization, including production, sales and marketing, IT, research and development, and human resources. By collaborating with other executives, motivated CFOs can better broaden their business acumen and develop a big-picture mentality. And it wouldn’t hurt to have the support of your peers as you aspire to the top. The CFO’s relationship with the chairman of the board can also be a factor in whether he or she ascends to the CEO chair. However, according to Robert Half’s research, only 29 percent of financial executives report that they collaborate “very well” with the board chair. Establishing and maintaining an ongoing and meaningful dialogue with the board, particularly with the board chair, certainly can’t hurt and should be a priority for CFOs. But finance leaders also must prioritize building bonds with other executives. · Ask for input. Bring C-suite peers early into key initiatives that are on your plate and ask for their ideas, advice and expertise. · Be a resource. Let colleagues know you’re available to provide a financial perspective on key initiatives and discuss your department’s projects and how they affect others. · Prioritize information-sharing. Meet with nonfinance executives regularly to give updates on your priorities and challenges. Your peers may have ideas you can implement. Also, be proactive about networking internally. Make the point to grab lunch or coffee with your peers to build rapport and gain a better sense of how you can work together effectively. Use these meetings to share best practices for building cohesiveness in your respective teams, and for identifying opportunities to cross-collaborate. Maintaining an open-door policy so workers feel free to discuss work-life balance issues with you. 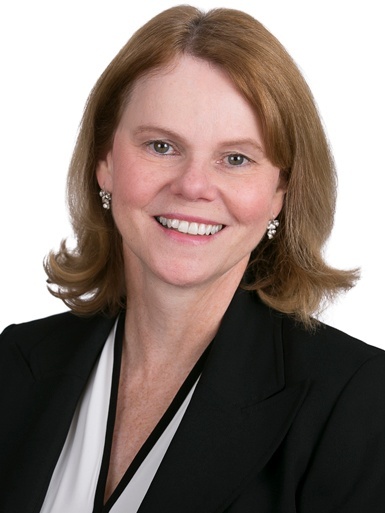 Boston, MA (December 6, 2017) - AAFCPAs, a best-in-class CPA and consulting firm known for assurance, tax, accounting, wealth management, valuation, business process, and IT advisory solutions, today announced Janice O’Reilly, CPA, CGMA has joined the firm as partner in the consulting division and head of the Managed Accounting Solutions (MAS) practice. Janice comes to AAFCPAs with over 30 years of proven experience as a successful finance and business professional. She started her career in public accounting, as an audit manager at Deloitte, and transitioned to private accounting. She has thrived providing strategic and financial consulting services to privately-held and public companies in diverse industries, including: software, technical services, digital media, and professional services. Over the course of her career, she held the roles of CFO, President, COO, Partner and was formerly CFO and Treasurer of TechTarget, Inc. (NASDAQ: TTGT). AAFCPAs provides right-size, outsourced accounting solutions, from cloud-based bookkeeping to high level CFO deliverables designed to optimize the modern finance function. Janice will lead and deliver CFO-level consulting solutions, including advice on international expansion, foreign subsidiary establishment, growth strategy, IPO, secondary offerings, M&A, joint ventures, capital raising, and investor relationships. To learn more about Janice click here. To learn more about AAFCPAs’ Managed Accounting Solutions practice, click here. 7 Ways to Support Employees’ Career Advancement from Robert Half Management Resources, Click Here to read the article.